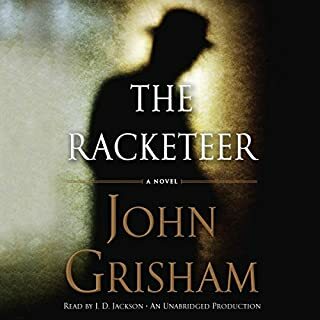 Would you consider the audio edition of The Racketeer to be better than the print version? Enjoyed Grisham again. Story keeps you thinking. Performance by Jackson very good. What does J.D. Jackson bring to the story that you wouldn’t experience if you just read the book? Not really Just overall good. An Inscrutable Masquerade', 'The Conundrum of Coach 13', 'The Trinity Vicarage Larceny' and 'The 10.59 Assassin'. Inspired by Arthur Conan Doyle’s original Sherlock Holmes stories, John Taylor has written four more mysteries featuring the world’s greatest detective. Read by acclaimed actor Benedict Cumberbatch, these new adventures share all the suspense of the original tales. 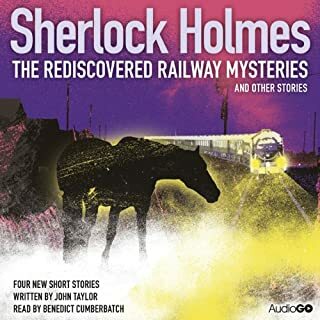 If you could sum up Sherlock Holmes: The Rediscovered Railway Mysteries and Other Stories in three words, what would they be? Yes. By moving through events without revieling the end. Which character – as performed by Benedict Cumberbatch – was your favorite? In fact I listened to the entire book in one sitting. Hope there are more like this to come. What did you love best about The Sittaford Mystery? Kept your attention right to the end. 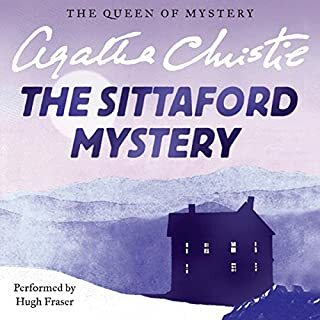 What other book might you compare The Sittaford Mystery to and why? Keeps me wanting to read this type of mystery. Have you listened to any of Hugh Fraser’s other performances before? How does this one compare? As only Agatha Christi can. Very good performance. Change of voice and defliction of each character was good. Looking foward to listening to more.